Have you ever ridden a bike through the snow? It’s not an easy feat, unless you have the right hardware. The Nell is excited to announce the addition of Scott fat bikes to the list of amenities, available to guests of The Little Nell and Residences at The Little Nell. Expanding on our complimentary cruiser bikes in the summer, guests can now cruise around the beautiful town of Aspen in the winter as well. The wide tires and strong air pressure allow you to gain great traction, flotation and suspension, which translates to the ride of your life on otherwise difficult conditions. Find a list of Nordic trails in Aspen here. 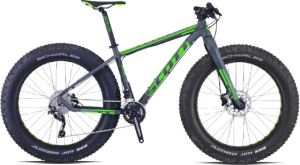 The Nell has 12 fat bikes, available in 4 sizes from small to extra large. The bike models are Big John and Big Ed. 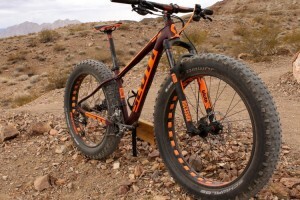 There are a total of 12 bikes, which are available in four sizes from small to extra-large. Next Summer, Scott will also provide The Nell with a fleet of mountain and road bikes, and is a sponsor for our annual Clip-In With Christian camp. As part of the camp for 2016 our guests will be able to choose their Scott road bike for the event and it will be ready along with their name adorned on the side of the bike. Just like a pro cyclist. Contact the concierge for more information at 970.920.6365 or concierge@thelittlenell.com. Oh, What Fun at The Little Nell Tree Lighting!